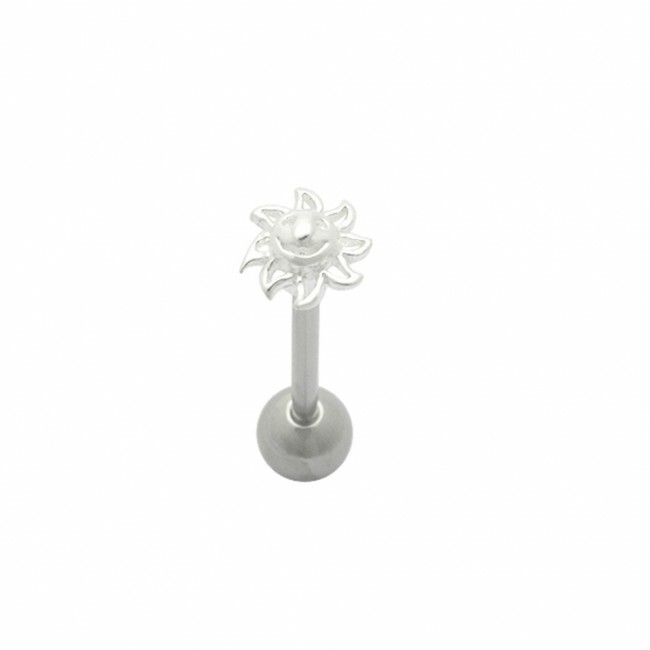 Look secretly stylish as you own the Smiley Sun Plain Tongue Ring! This Smiley Sun tongue ring features a 925 Sterling Silver charm part, a 316L Surgical Steel bar, and a 316L Surgical Steel ball. 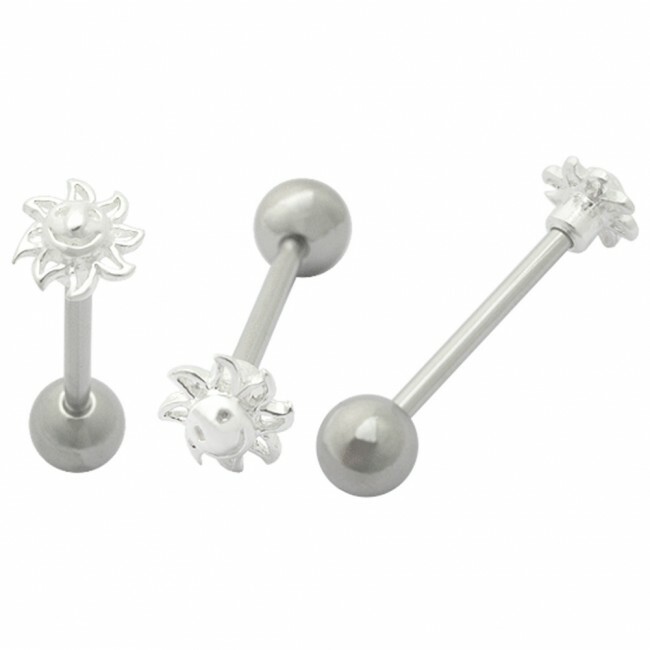 This designer tongue ring is offered to you in a standard size: 14 G-5/8"-6 mm.